Just like in business, continued growth is one of the keys to success. 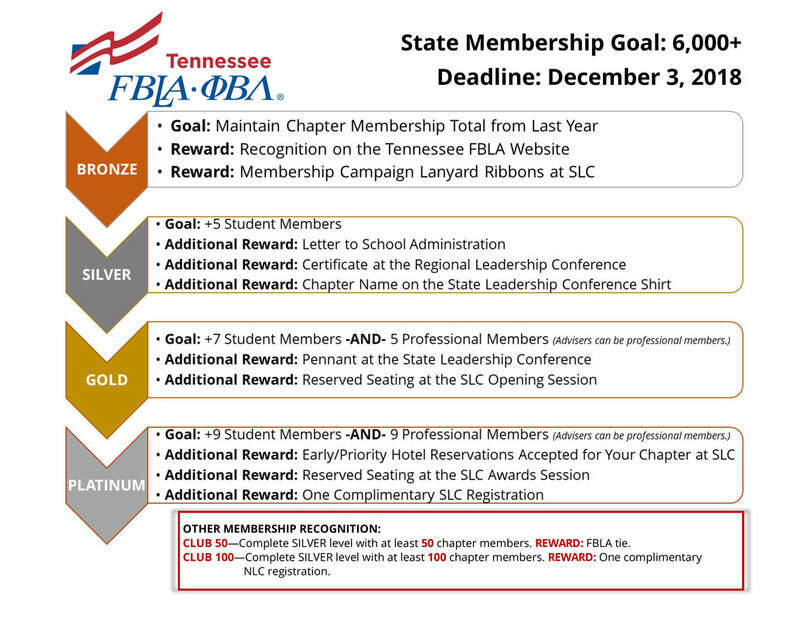 Tennessee FBLA’s state membership campaign is designed to help your chapter grow by making the FBLA experience available to more student members, keeping alumni involved, and engaging professional members, such as administrators, teachers, parents, and business partners. Recognition for the membership campaign will be determined based on your membership submitted in the online membership system. The deadline is 5:00 p.m. CT on Dec. 3, 2018. Future Business Leaders of America-PBL inspires and prepares students to become community-minded business leaders in a global society through relevant career preparation and leadership experiences.